You’ll think you’ve reached the rainbow’s end with this over-the-top, Double Chocolate Irish Cream Cake Roll. It is filled with a creamy chocolate center and then covered with a decadent chocolate ganache. Bits of minty chocolate garnish the top for an impressive dessert that will please any Irishman or Irish Lassie. In small mixer bowl, beat eggs in small bowl with electric mixer on high speed about 5 minutes or until very thick and lemon colored. Pour eggs into medium bowl; gradually beat in granulated sugar. On low speed , blend in water and vanilla . Gradually add flour, baking powder and salt, beating just until batter is smooth. Pour into pan, spreading to corners. Bake 12 to 15 minutes or until toothpick inserted in center comes out clean. Loosen cake from edges of pan; invert onto towel sprinkled with confectioner’s sugar. Carefully remove paper; trim off stiff edges of cake if necessary. While hot, roll cake and towel from narrow end. Cool on wire rack. Spread Creamy Chocolate Filling on cake. Gently re-roll. 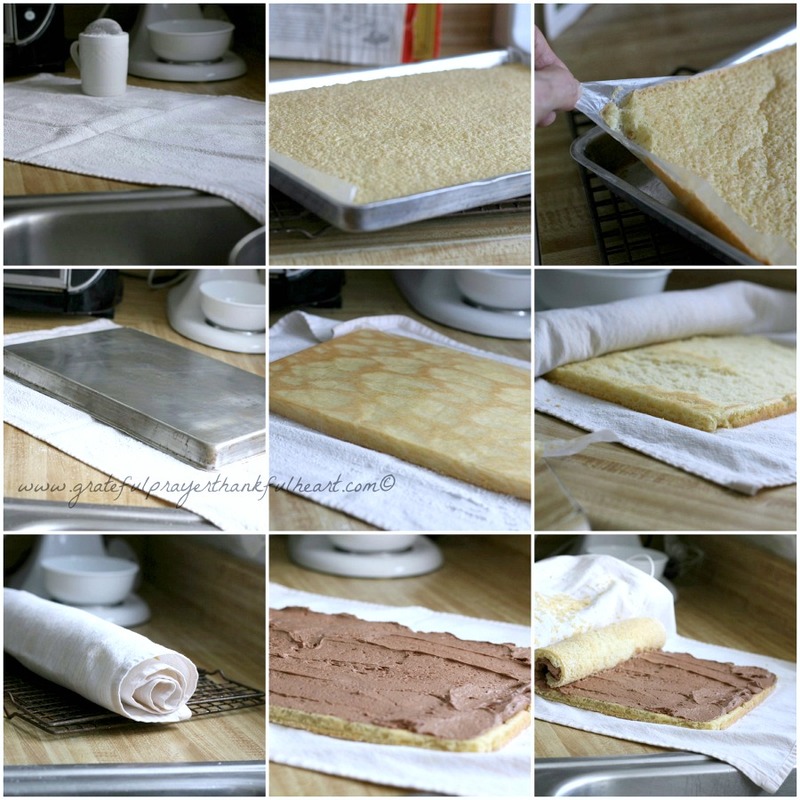 Place cake roll into a serving plate. To keep plate tidy, tuck pieces of waxed paper under edge of cake before pouring and spreading on Chocolate Ganache. Remove waxed paper and refrigerate cake roll to firm up. NOTE: I used all of this filling for a rich dessert. You could use less if you want. In a large bowl, cream butter until smooth, then gradually beat in sugar mixture alternately with evaporated milk/Baileys Irish Cream. Blend in vanilla. Beat until light and fluffy. If necessary, adjust consistency with more milk or sugar. NOTE: I had extra Ganache left over, so if you want to go light, you could just make half. absolutely wonderful ! look delicious !! Why do you do this to me? 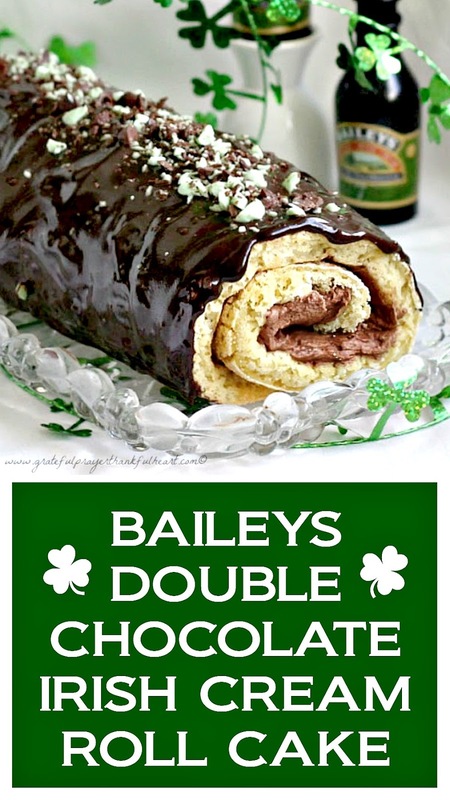 Thank goodness St. Patrick's Day is over and you probably don't have any leftovers, but it sure does look so good! The little ones are adorable! Oh my goodness, Lorraine, your cake roll looks professionally done! I'd love a slice of it to celebrate St. Paddy's Day. Your darling leprechauns are toooooo cute!! That is one sweet treat! Happy St. Patrick's Day to you and your family. Wow – I think I have gained five pounds just looking at all of the yummy recipes this morning. This one looks fantastic! Love seeing the pictures of the children – how adorable!! 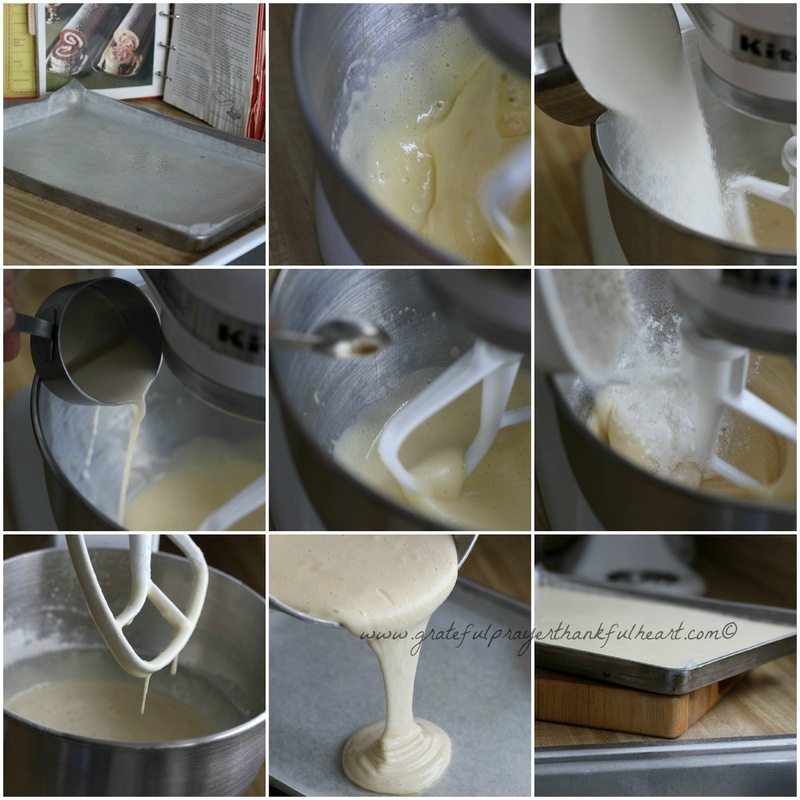 Great looking cake roll – they are such fun to prepare aren't they? Your little leprechauns are darling! Hope you can stop by the enchanted oven. What an absolutely beautiful cake roll! Love your detailed step by step mosaics! Some leprechauns will be very happy~ Happy St. Patrick's Day! 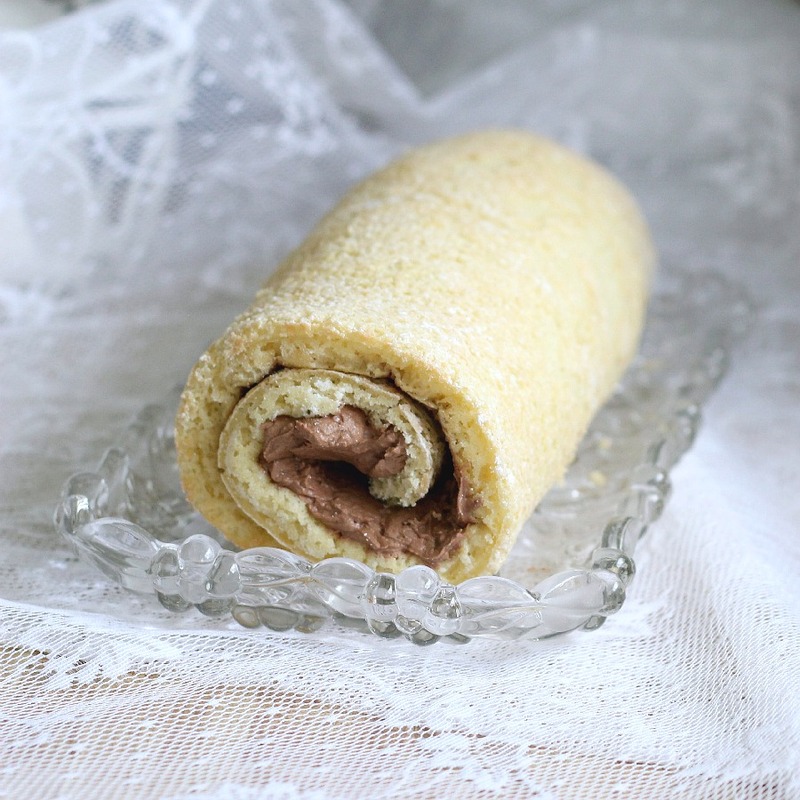 Oh, my, this is the second cake roll recipe I've read this evening. Have you seen the one Monique posted on La Table De Nana? Her's was chocolate with strawberries and now here is one with Bailey's Cream, my favorite. Thanks for sharing the recipe. I've got to make these. Yummmmy, Loraine, your tutorials are better than what I read in cookbooks, you not only make your recipes look good but easy as well! I always leaves saying" I think I can do that." ~smiling~Thanks for sharing. That looks wonderful! Great pic too! 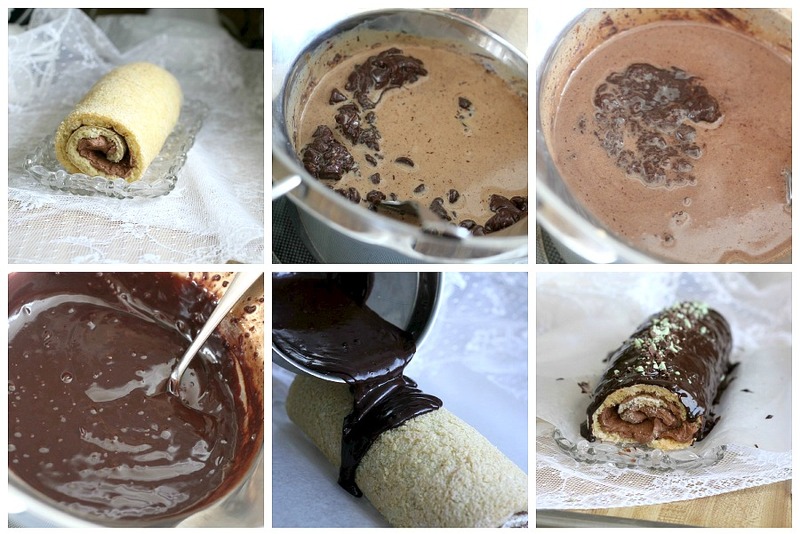 Oh my, your chocolate roll looks so decadent! Wish I could make one come out so perfect…mine crack, then fall apart. Oh dear me, that cake looks wonderful. My mother in law was Irish so we always remember St Patrick's Day but oddly enough it is not such a big deal here in the UK as it is on USA. 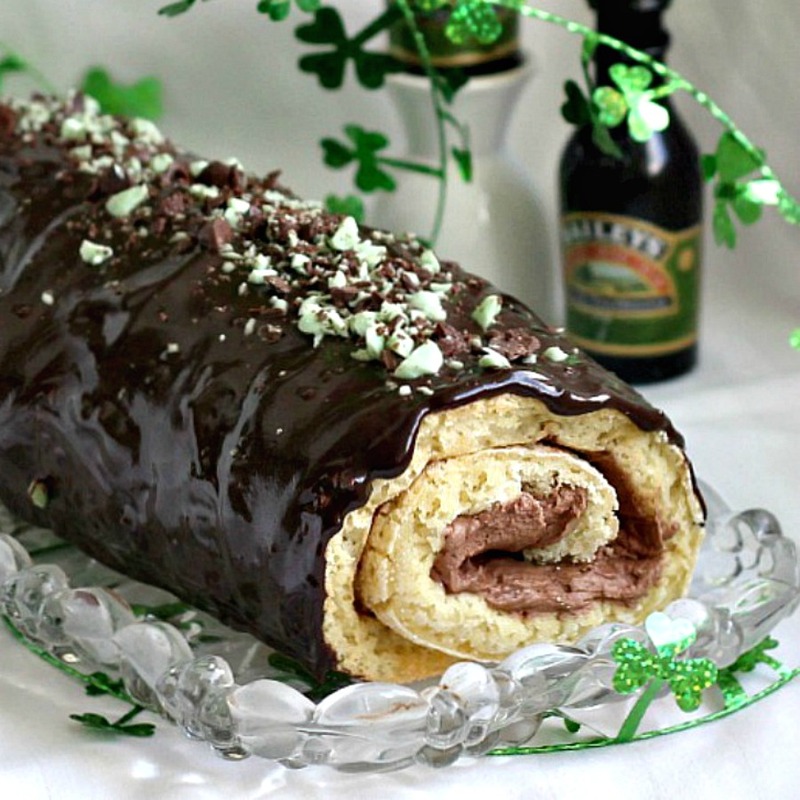 Your Irish Cream cake roll looks delicious!!! And yes, that little fellow is one of the cutest leprechauns I have ever seen!! 🙂 Happy St Patrick's Day to you! 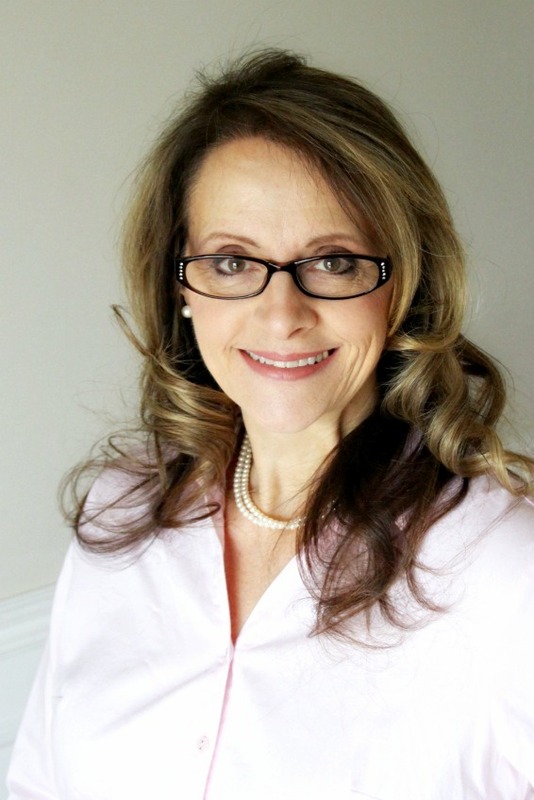 Lorraine, I am so glad we were neighbors at Kathleen's..I am now your newest follower…your blog looks so friendly and I will be back again…. It sounds delicious and looks stunning! This would be a hit on any St. Patrick's Day table! Lorraine, your dessert looks so yummy ! Thanks for sharing the recipe! I'm your newest follower! Your dessert is beautiful and looks so tasty, too! I love all the detailed pictures! Oh my Lorraine, that looks really good!! I hope I can get Toni to make this for me. OH..MY..GOODNESS…this sounds and looks wonderful! I am on my way over, haha. Oh…looks delicious! I don't think I've ever made a jelly roll type cake…kind of scares me…but this looks so good, perhaps I'll have to get over the fear and give it a try!